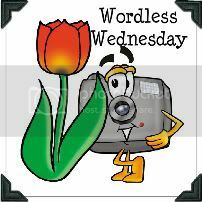 Welcome to the 31st Edition of Wordless Wednesday! Ozzie! My beautiful European Lilac Burmese! 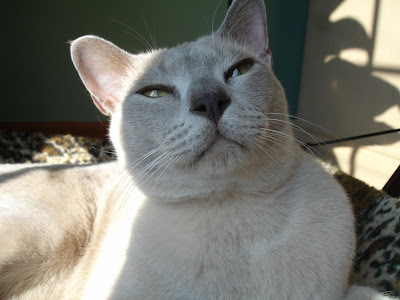 Beautiful cat. Love the expression on his face in the first picture. Thanks for hosting again. Sure hope you're having a great time & taking lots of pictures. Have fun. Be safe. Have a great time and don't drink the water! So sweet! Loving that furry face looking so content. Makes me wonder what Ozzie is thinking about! You have a beautiful cat! He looks like he holds the secrets to the universe, but he will never tell! Gorgeous cat. So regal looking!! WOW! What a gorgeous cat! Now that feline is definitely beautiful. Don't you just love their mystery? All those school news letters finally got to me. Thanks for hosting every week! This is one of my favorite weekly link parties! I love the kitty pictures--what a sweet kitty!!! Thanks for hosting the blog hop!!! It is a great way to meet new bloggers and you are so faithful at doing it! Thanks so much! I wish I wasn't allergic to cats. Pretty cat! great cat, stop by and link up at the zoo we'd love to have you visit. Just realized you are on your trip. Have a great time! Such an adorable kitty! I really miss having my cats around. Stupid no pets policy. Hi Java, welcome back from Mexico.....sorry about the reality of laundry! LOL! But anyway, thanks for hosting and if you ever wish to add a nice recipe, please do stop by my weekend blog hop! happy 4th of July to you and your family! 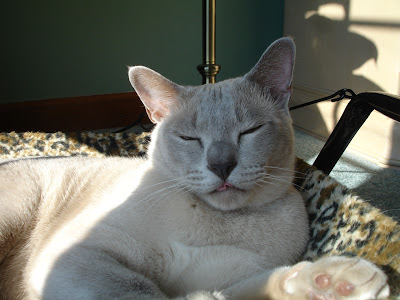 My blogging pal Leah and I have been looking for a wordless wednesday to join.. so happy to have found yours! We'll be linking in this week! So cute cat and looks beautiful. Awaiting your return sweet Java..HUGS! I like your excellent creativity works. I inspire your topic and blog design. I like above the cat. It's activity is good one. above the photo are so cute. every one enjoyed to read this articles. I ran cross your blog and now I'm in love. What can I say? you had me at 'I've got 4 boys- 5 if you count the husband'. I'm a mom of 3 boys, one husband, a MALE cat, and a tank full of fishes that my boys have given BOY names. Its nice to know someone else has been there. Are you still doing WW? If so, come on by and see my entry today. Looking forward to the new Meet Me! Love this blog. Happy Holidays. New follower. Very regal looking cat. Ozzie rules! We have Jazz, a sweet Siamese with a boomer voice!